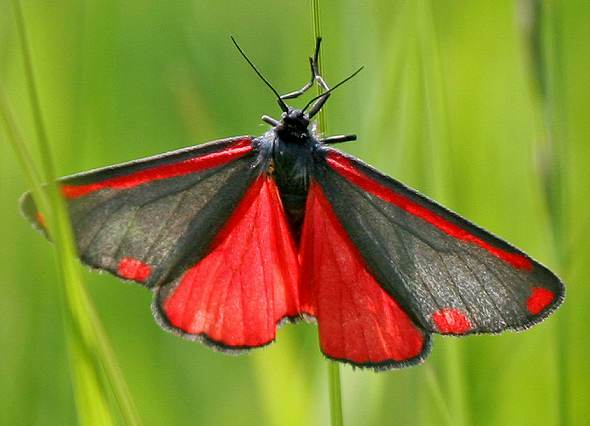 The red patches on the wings are warning to predators, its name comes from the colour pigment vermilion or cinnabar. The Moth lays eggs on ragwort leaves which are rich in alkaloid poisons. The caterpillars store the poison as they eat the leaves, which is passed on through to chrysalis and finally to butterfly. Predators such as birds soon learn not to eat them!